When it comes to Fort Lauderdale Spring Break, the party scene in is second to none in the USA. During the day, the main party is at the beach as college students descend on the warm sand for a day of partying and hanging out with other Spring Breakers from across the country. The main Fort Lauderdale Spring Break party zone stretches along the strip from Las Olas Boulevard to Poinsetta Street and is ready for the masses. Across A1A and all of the beach antics, the strip is lined with cool bars, fun food joints, and souvenir shops. The top bars include the world famous Elbo Room, Rock Bar, and Blondies Sports Bar. McSorley’s Beach Pub and Lulu’s Bait Shack are other fun bars further down the strip. 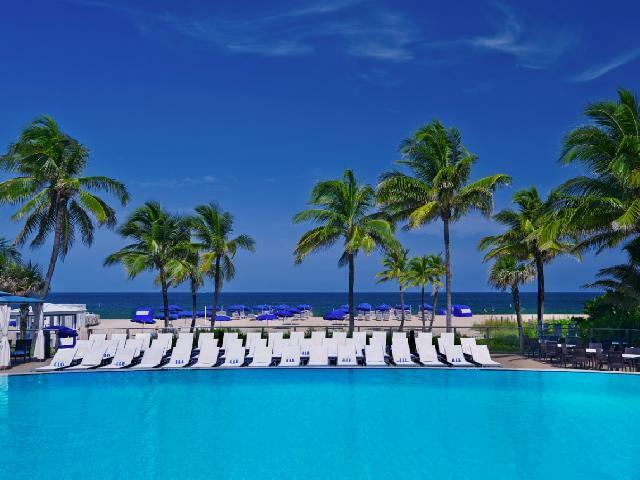 Like any other place, you’re going to run into pricey hotels during Spring Break in Fort Lauderdale. Some people go the Airbnb route, take advantage of relatives’ condos, or even get cheaper hotels off the strip but that ultimately ends up costing more than originally planned. STS has secured hotel rooms in prime locations on and near the beach that are affordable for any Spring Breaker! By staying around the strip you’re eliminating any need for a car because your hotel will be within walking distance of all the action. Electric scooters like Lime and Bird have made their way to Fort Lauderdale and are a great, cheaper mode of transportation to places outside walking distance. 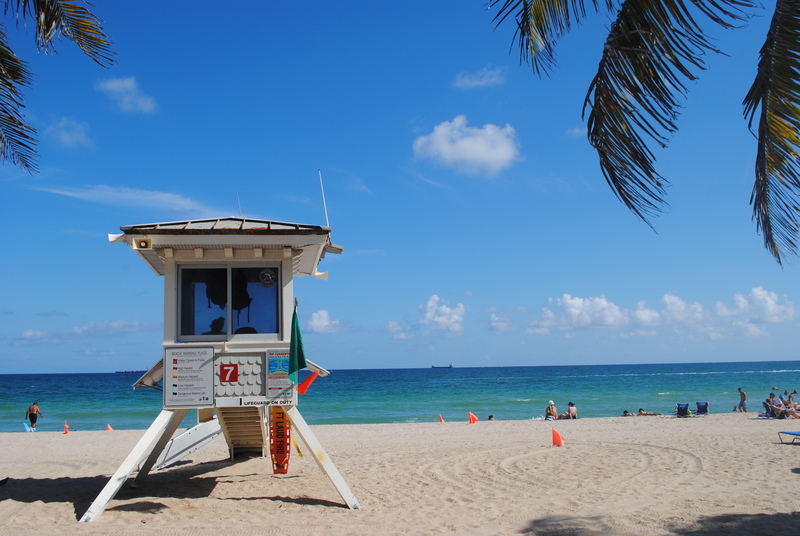 With cheap flights from all over the US, Fort Lauderdale is easy to get to. Miami and West Palm Airports are only 45 minutes away. The main strip features many large chain resort hotels. A block back from the beach, you can find more reasonably priced smaller inns and hotels. Many have been recently updated with their own flair and styles. 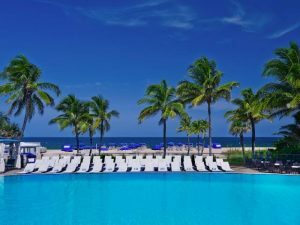 For Spring Break ‘2019, STSTravel is offering several options on and off the beach for Spring Break in Fort Lauderdale. The B Ocean offers the best of both worlds. It is the only hotel along the strip located directly on the beach. Enjoy your days more relaxed hoping from the beach front pool to private beach with a Piña Colada win hand (towels and chairs provided FOR FREE) or walk down three blocks to the main party scene on the public beach. The B Ocean will be offering daily drink specials and happy hours throughout Spring Break at their pool and lobby bars. It is perfect for those looking for a true beachfront resort. 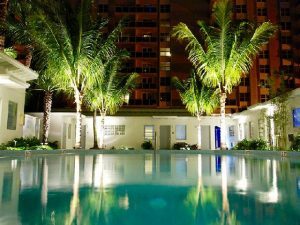 The Fala hotel provides one of the most convenient locations to the Fort Lauderdale Spring Break party zone, the best price on the beach, and provides free parking if you decide to drive you way down. The rooms are clean and comfortable with the option of kitchen . 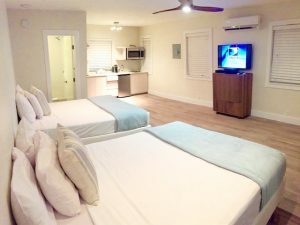 All rooms include refrigerators to store all your beach booze. Guest also have full access to the 2 pools and sun deck at their sister resort, The Fortuna. The Fortuna is located one block off the beach, offering a great refuge away from the party scene. With two pools and a large patio/sundeck, The Fortuna provides the perfect location to get your Spring Break party on. Rooms are spacious and a great option for a bigger group, provide accommodations for up to six people, some with full kitchens. At night, Fort Lauderdale during Spring Break really comes to life. Beachfront bars like Elbo Room and Rock Bar erupt after happy hour with DJs and live music, however the real action is in Downtown Fort Lauderdale’s Riverfront. Only a few miles from the strip, a short Uber or scooter ride will have you there in no time. Or, you can take the scenic route and start your night with a cruise on the water taxi that allows you to bring on your own drinks. You will pass by mega yachts and mansions as you make your way to Fort Lauderdale’s Spring Break party zone. Whether you’re into Irish Pubs, dive bars, open air bars filled with beer or night clubs pumping music, this is the best place to be during Spring Break. Through STSTravel, get your “PartyLauderdale” pass with 5 nights of open bar parties, special pregame dinner specials and daily happy hours. 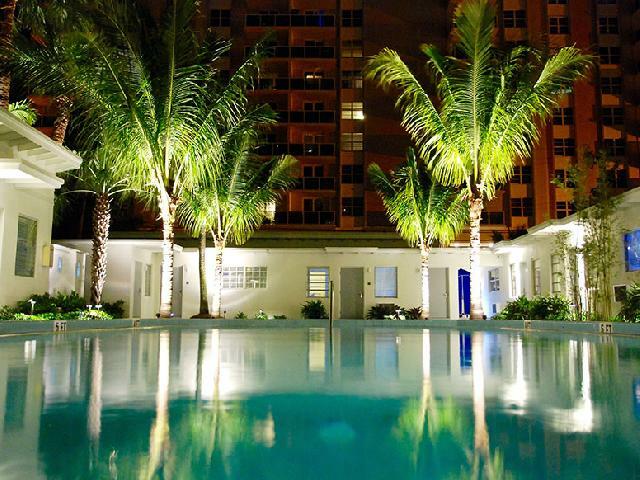 Never worry about getting bored because each place in Dowtown Fort Lauderdale has something different to offer. America’s Backyard, which connects to Revolution during Spring Break to create the area’s largest indoor/outdoor club, is the perfect place for the girls that love elevated surfaces and dancing on bars. Go big at Sway Night Club with bottle service and VIP tables while Fort Lauderdale’s top DJs perform. New to the scene is 00Saloon which at night, turns into 00Station Night Club. Dance the night away to live music or DJ sets. Check back with STSTravel for the full party schedule which will be released in early January. Over the past few years, the Fort Lauderdale police have been very tolerant of Spring Break. They hang out along the strip to keep the peace and safety but will mind their own business if you mind yours and let you party the day away. Another cool thing about Spring Break in Fort Lauderdale is the general respect for the beach. At the end of the day, Spring Break partiers take a moment to pick up their trash and leave the beach ready for another day of partying. Please do your part to keep this tradition going!